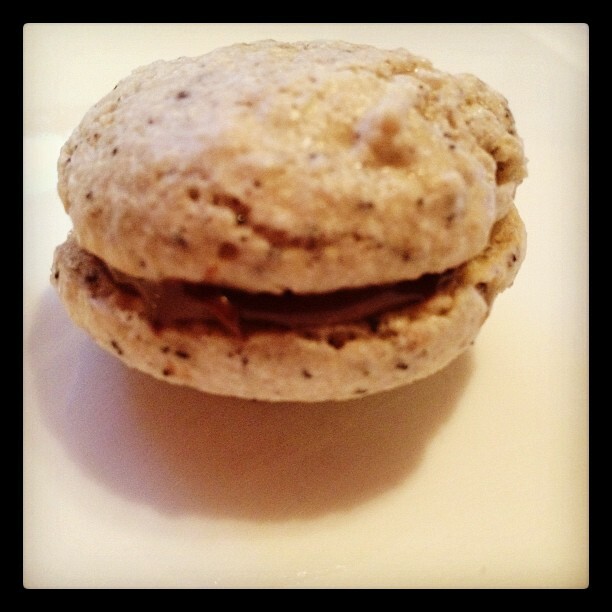 Macarons are the new craze. 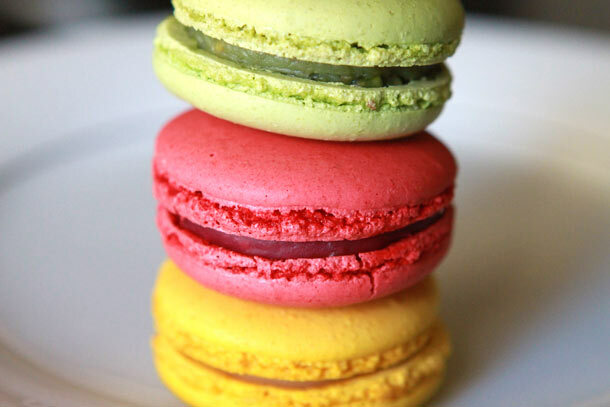 Forget about cupcakes and cake pops, I want a macaron!!! I lived in LA and that’s where I heard about them first. 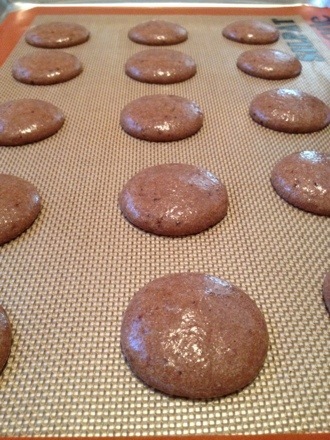 Paulette’s Macarons in Beverly Hills introduced these sweet Parisian treats to California. Last year when I was residing in San Francisco, I discovered Miette, which is the cutest little cake and macaron shop in Hayes Valley. 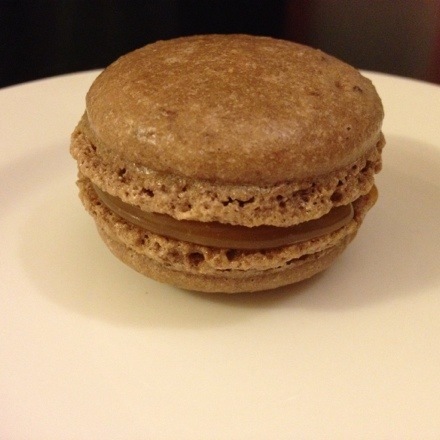 Closest thing I could get to a ‘lette’s macaron. Here in Sacramento, there is only one place that I would consider getting this delicious cookie, Ginger Elizabeth in downtown. Ginger Elizabeth is a chocolatier that also happens to sell macarons and a delicious salted caramel macaron ice cream sandwich. Anyway, these tiny little cookie sandwiches are quite expensive. Average price for one: $1.75. So you can see why I would want to make them myself. When I was still living in San Francisco I attempted to bake a batch. I tried blanching sliced almonds and grinding them myself. I had no idea how much you had to process them. I also did not beat the egg whites enough so the dough/batter (whatever you wanna call it) was extremely runny. I tried baking them anyway, no bueno. After that massive failure, I googled, googled and googled. I then found a recipe with great directions. I tried last week. Although it’s not the prettiest attempt, they at least tasted good and had decent texture. I’m pretty sure I know how to fix what I did wrong. I am going to attempt another batch today, wish me luck. I’ll be posting pics later tonight. Okay… Last time I made banh bo, it tasted good, but it came out flat. I tried baking it again, same problem. I did some major research… and I figured it out, the recipes I had been using call for a convection oven. I don’t know about you, but I had no idea there was that much of a difference between con-VEC-tion and con-VEN-tion ovens. Once I figured this out, I asked others if they knew of the difference, no one knew! Because I had to explain to a few different people, I thought I should also share this with all of you, just in case. Notice anything? It’s got a freaking fan in the back of the oven. If your oven does not have a fan it is a conventional oven. So if you’re trying this recipe, you have to up the temperature from 350˚F to 375˚F. 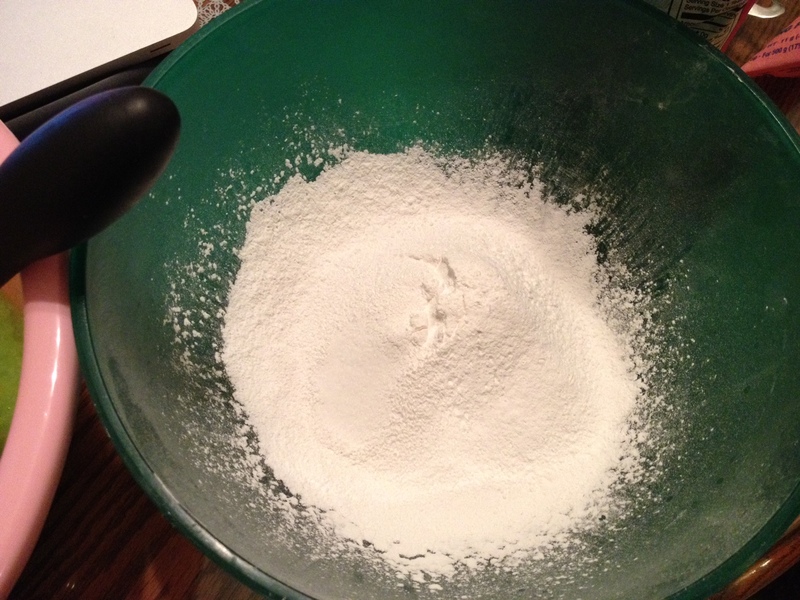 Sifted the tapioca flour/starch, baking powder and salt together. I think you could probably use less salt or forget about it all together. 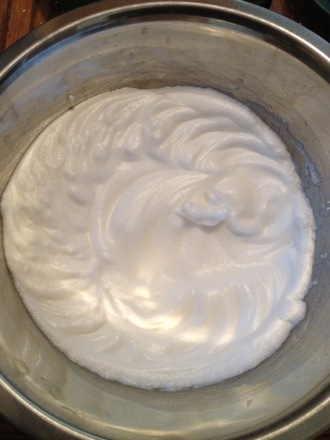 Stirred, NOT WHISKED, eggs, sugar, coconut cream/milk, pandan and vanilla extract. After STIRRING the wet and dry ingredients together, it will be lumpy, pour it through a strainer to get rid of all the lumps. Do this once or twice, it’s up to you. 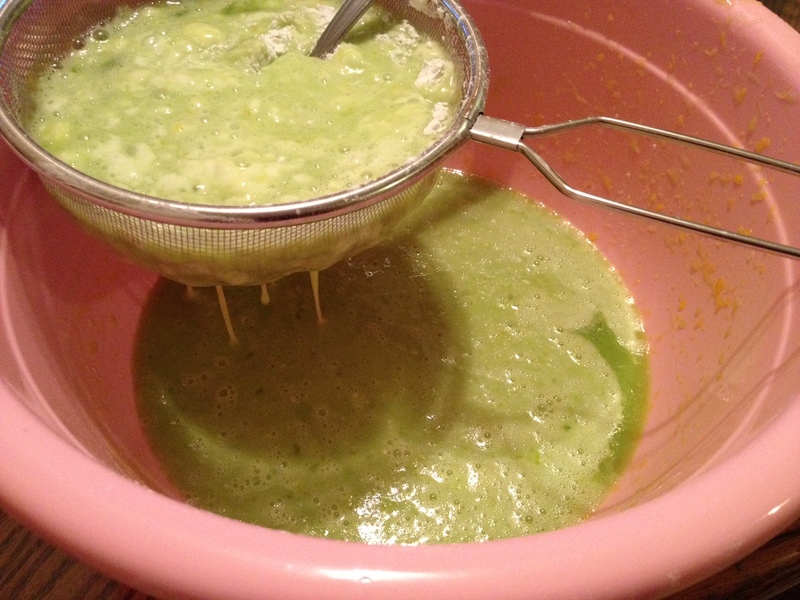 After the mixture has been strained, pour it in the baking pan that’s been heating in the oven. You should hear a sizzle. I have a convention oven so I baked it at 375˚ for 10 minutes and 305˚ for an additional 30 minutes. This is what it should look like when it’s done. Flip the pan upside down and let it cool over a cooling rack. It’ll most likely unmold itself, mine did! 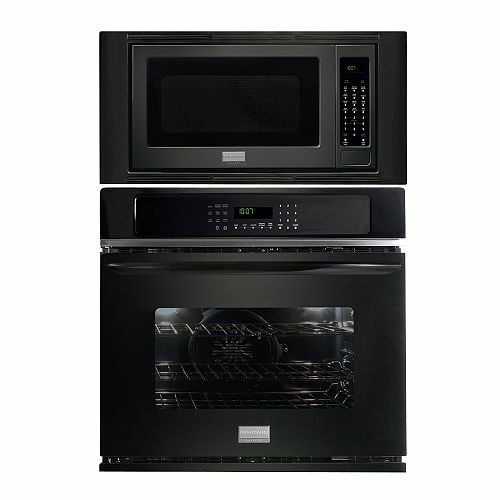 Preheat the oven to 350˚F for convection or 375˚F for convention ovens. 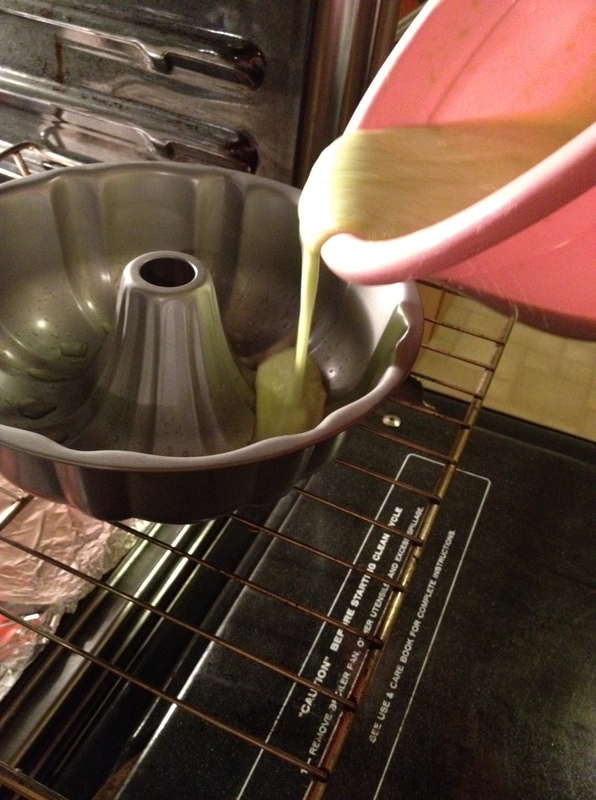 Brush vegetable oil on the bottom portion of the baking pan and heat it in the oven. 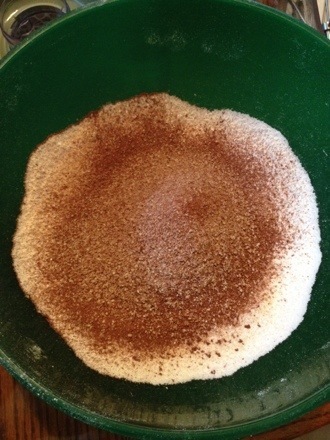 Sift the flour, baking powder and optional salt together. In a large bowl, gently stir the eggs, sugar, coconut milk, pandan and vanilla with a whisk or a fork so that no bubbles form. Remember to stir just enough to homogenize the whites and yolks. 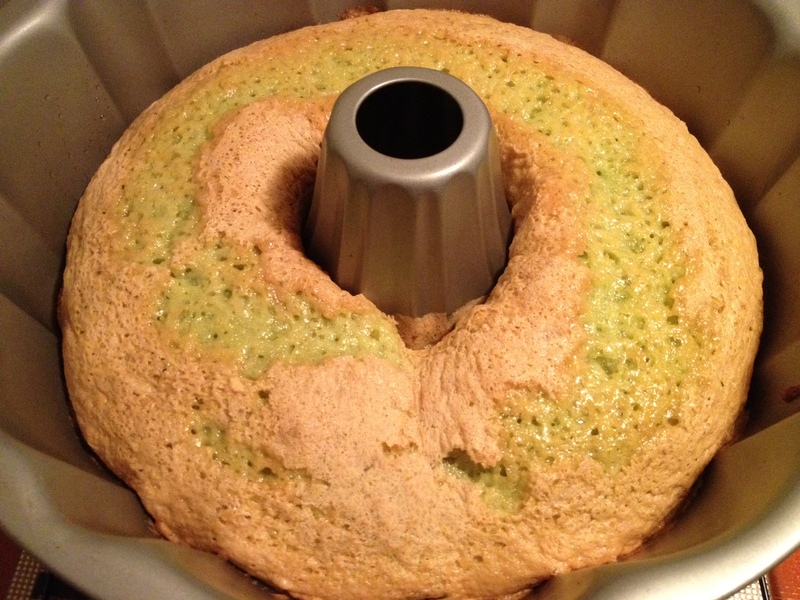 Over stirring the eggs can cause the cake to be flat. 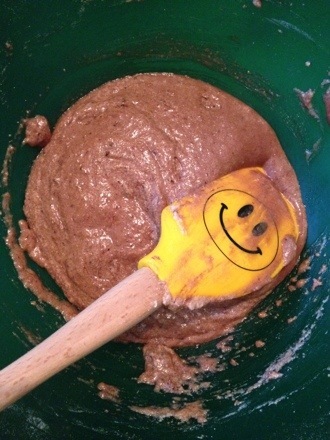 Use a strainer to strain the mixture into another bowl and use a spoon to help break the lumps up. 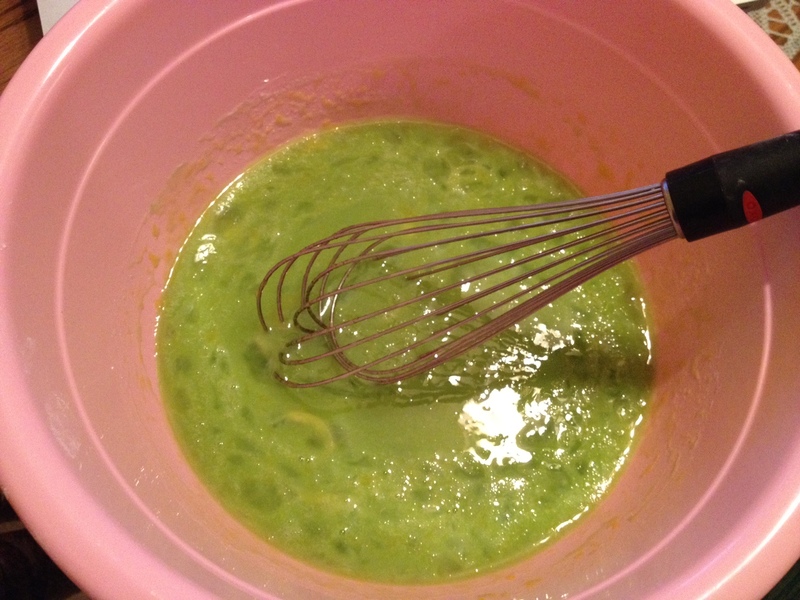 Pour the mixture into the preheated baking pan of your choice. You should hear it sizzle! Bake it for 10 minutes then reduce the heat to 305˚ F. Bake for another 30 minutes or until golden. 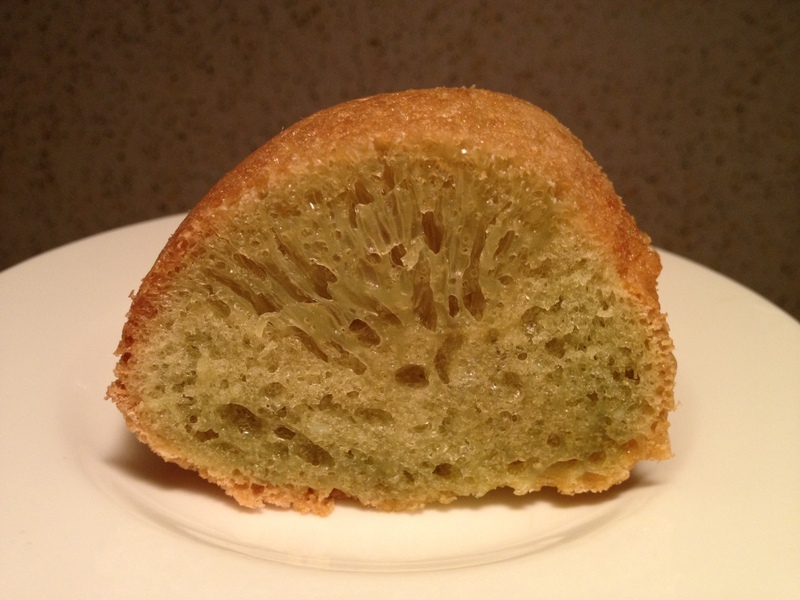 If you can’t tell when it’s done, insert a toothpick in the center of the cake to test for doneness. If the toothpick comes out clean, the cake is done. Place the pan upside down over a cooling rack. It will probably unmold itself, when it’s cooled, slice and enjoy!